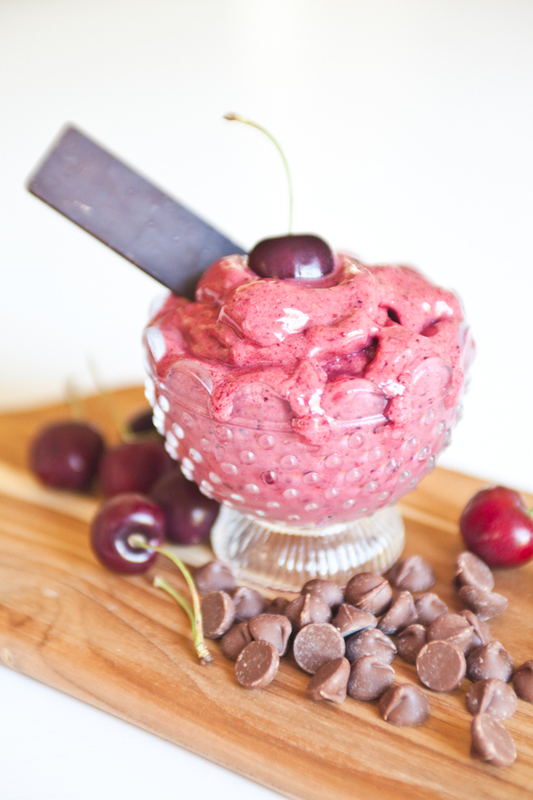 In honor of my sweet momma, introducing the cherry-chip ‘nice cream’! 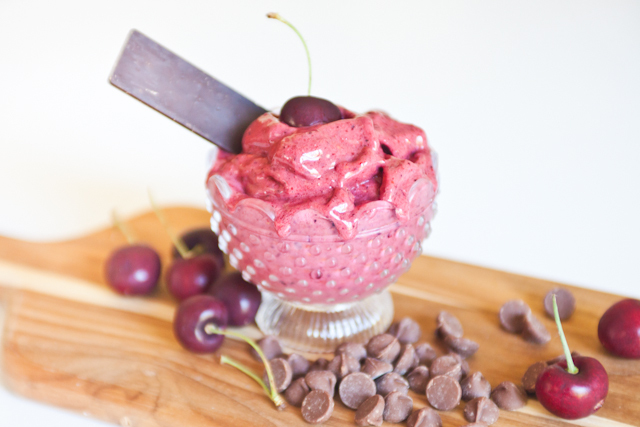 She loves Ben n’ Jerry’s version of this delicious ice-cream so we were determined to replicate it… we did not hit the mark perfectly BUT for making a delicious cherry-chip dessert without any added fat, dairy or refined sugar, it is pretty darn good! Much like the mango ‘nice cream’ this is pretty close to a sorbet. Hope you enjoy! I love you mom. Blend all the ingredients and enjoy! Note: We add the chocolate chips at the very end of the blending process so that there are small chunks. Top with more chocolate if you so desire!